What is "Sealed with a Gift"? Launched a week before Valentine, 2013, Sealed with a Gift is a NC Mall daily activity, keeping up the spirit of Valentine. The name of the event is a play on the romantic song "Sealed with a Kiss". This event skipped a year, but came back in 2015. You can check your mailbox on the Sealed with a Gift page daily to get a new exclusive Neocash item. Each day, there's a new Valentines letter, which is called a Valentine, available. With each Valentine comes a new prize. You are also able to open Valentines that were available on previous days. In 2013, the event ran from February 8th to February 14th. In 2015 it ran from February 9th to February 15th. You can buy Valentine Opener Packs at the NC Mall. There are packs for 1 or 7 Valentine Openers. If you buy the 7-Packs, you'll be off cheaper than buying separate packs. You may also participate in the Sealed with a Gift event on side accounts. For more information, see the FAQ below. Please note how the NC items you use to open a valentine letter are called Valentine Openers, while the letters themselves are called Valentines. How do I activate my Valentine Openers? After purchasing your ticket at the NC Mall, go to your inventory and activate your Valentine Opener Pack. Now you can visit the Sealed with a Gift page. For each day, a new Valentine will become available for you to open. If you can open a Valentine, it will no longer look grey, but will be coloured pink instead. If you want to open it, you click on "Yes, I'm certain". Now a new scroll will show up, telling what prize you've gotten. You can now find the prize in your inventory. You do not need to open a Valentine on the day it comes out, It is also possible to open a Valentine later on, as long as the event is running. What kind of prize do the Valentines give out? That's the surprise, isn't it? The contents should be "exclusive NC item prizes", not items that are regularly available for sale in the NC Mall. They will also be Valentine themed, so it looks like you can prepare for hearts and pink. If you apply all 7 Valentines, you will get a special bonus prize at the end of the event. What is Sealed with a Gift? Sealed with a Gift is an NC Mall event where you open valentines daily to receive NC item prizes! Visit the NC Mall to purchase your Valentine Openers (sold in packs of 1 and 7). Once you activate your Valentine Openers, visit the Sealed with a Gift page to get in the Valentine's Day spirit! The Sealed with a Gift event will run from February 8th through February 14th. You can participate any time within that time period by purchasing Valentine Openers in the NC Mall. How do I purchase Valentine Openers? Visit the NC Mall to purchase your Valentine Openers in packs of 1 and 7. The number of Valentine Openers in the pack represents the number of Valentines you can open to receive an NC item prize. Once you have purchased your Valentine Openers, be sure to activate them in your inventory before visiting the Sealed with a Gift page to claim your prizes. To activate your Valentine Openers, visit your inventory, click on your Valentine Openers and select "Activate Valentine Openers". Once activated, visit the Sealed with a Gift page to opening your Valentines! I purchased Valentine Openers, why can't I open any Valentines? Did you activate your Valentine Openers? To activate your Valentine Openers, visit your inventory, click on your Valentine Openers and select "Activate Valentine Openers". Once activated, visit the Sealed with a Gift page to opening your Valentines! Can I open Valentines for days that have passed? Yes, prizes can be collected on days that have passed or on that day. Simply click on the day you would like your Valentine and apply your Valentine Opener. Can I open the same Valentine more than once? 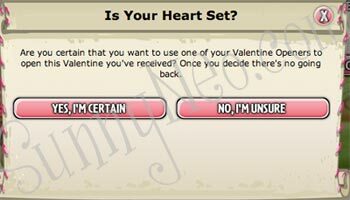 No, unfortunately you can only open each Valentine once for every account. Can I give Valentine Openers to another user? 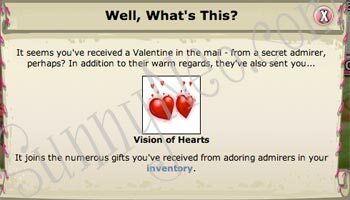 Yes, Valentine Openers are like any other Neocash item and are giftable via a NC Gift Box (one item per NC Gift Box). Can I participant in Sealed with a Gift on my side account(s)? Yes, you can participate in the Sealed with a Gift on your side accounts. Will I receive a bonus item for participating in Sealed with a Gift? Yes, you will receive a bonus item prize if you have participated and claimed an NC item prize for all 7 days of the event. Is there a time limit to when I can open my Valentines and collect my daily prizes? There really isn't a time limit for collecting your daily prizes but the sooner the better so you can enjoy them! If you activated and have remaining Valentine Openers, you will be able to return to the page to claim your prize as long as the Sealed with a Gift page is still accessible. I'm trying to activate additional Valentine Openers, why isn't it working? Please keep in mind you will only be able to claim prizes each day once on each account. If you have already activated up to 7 Valentine Openers you will not be able to activate anymore. 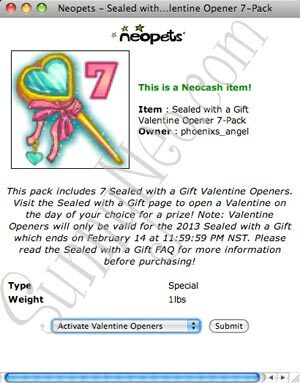 An exception to this is if you activate more packs in order to reach 7 Valentine Openers activated. For example, if you activated a 1-pack you will be able to activate a 7-pack in order to reach 7 activations. Unfortunately extra activations cannot be redeemed or returned as you can only collect up to 7 prizes each day in this event.